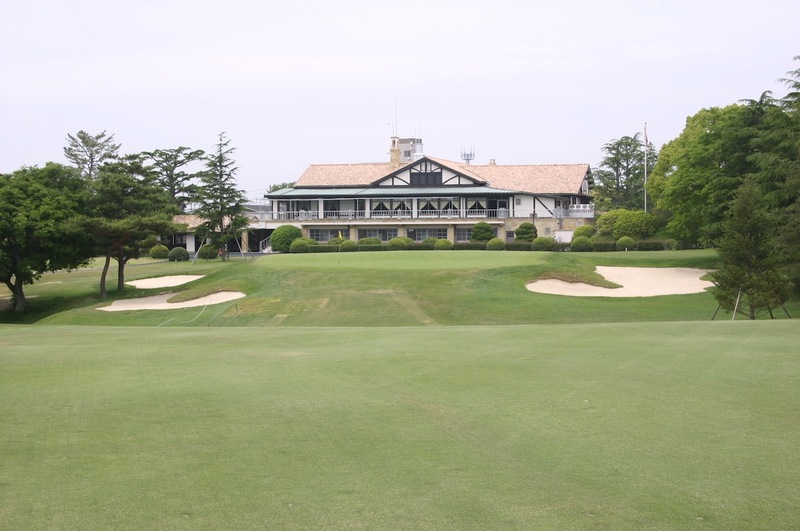 Japan’s most distinguished golf club, Hirono was created by opportunistic golfers from Kobe who approached leading British designer Charles H. Alison while he was working on the Tokyo Golf Club and Kawana’s Fuji Course. They had acquired part of a vast estate owned by an ex-Feudal Warlord and asked that Alison consider its suitability for golf. 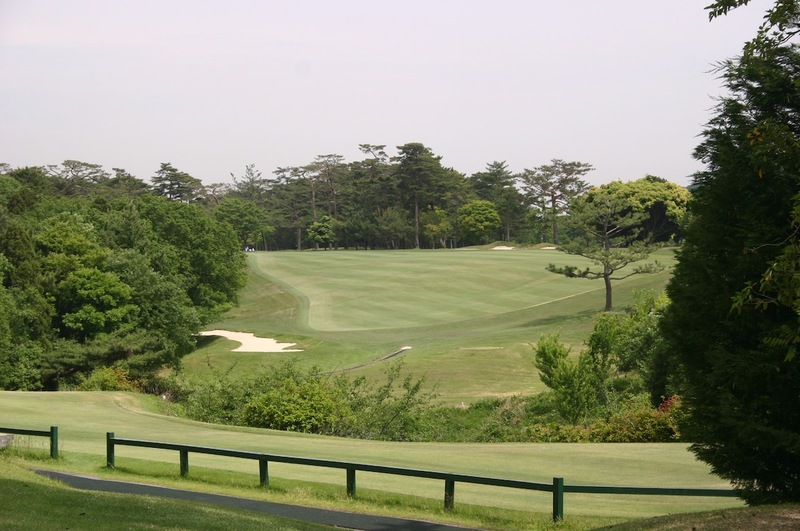 Well dispersed with lakes, ponds and dams as well as terrific natural ravines, gullies and undulating woodland, the property delighted Alison who took the job as designer and declared their course would be the best in Japan and one of the finest in existence. As was his practice, Alison then retreated into his hotel room with notes and contour maps of the property and after seven days emerged with a design that, sixteen months later, would open to instant acclaim. His strategic layout was routed across a stunning variety of landforms and complimented by greens that were tilted and bunkered to reward bold driving with better angles. 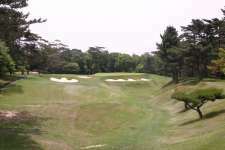 He also designed four incredible par threes which, despite changes, remain among the most celebrated sets of short holes in the world. 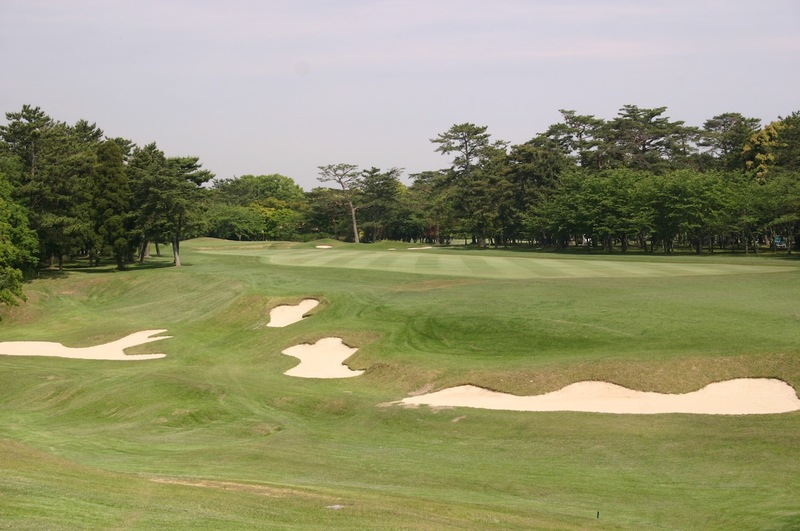 A standout feature of the early course was the bunkering, Alison created fearsome hazards that were deliberately deep and often part of sprawling complexes. Insistent that the bunkers feel natural he designed them to be untidy in appearance with the sand splashed up on uneven faces. Regrettably many have since been cleaned up and their faces grassed over. 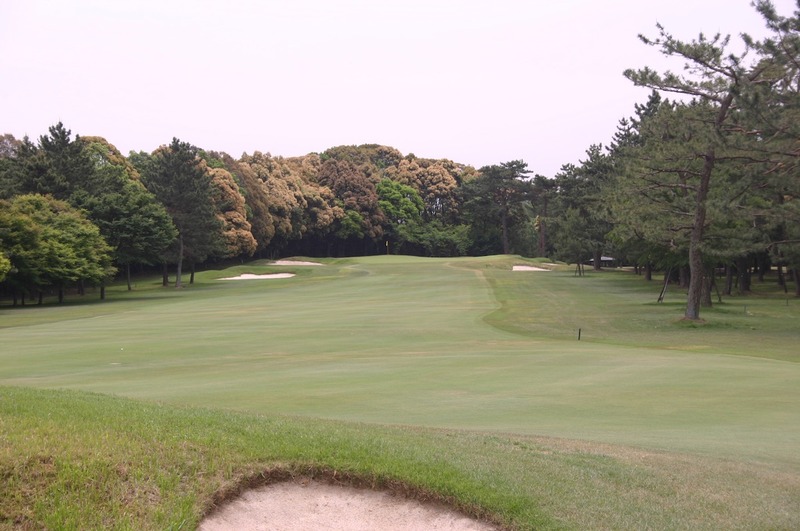 The highlight of Hirono is approach play, while some of the drives no longer present the challenge they once did, approach shots into 2, 4, 10, 11, 14, 16, 18 and each of the par threes are all still demanding. 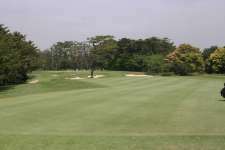 The course starts with a generously wide par five and a string a fine two-shot holes before reaching the 5th, an all-world short hole across a gorgeous fiord to a wonderfully bunkered plateau green. ‘The Devil’s Divot’ 7th hole is another outstanding par three played diagonally across a deep sandy ditch. Sadly the removal of a central bunker and the tidying of Alison’s messy sand scrapes have made the long carry slightly less intimidating. Elsewhere the 10th, 11th and clever sidehill 14th are all very good as is the par five 15th, its fairway cut by ditches that create distinct landing areas for each shot. 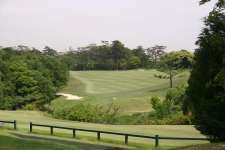 The closing stretch is a tough assignment, a high plateau green on the 16th is followed by a long par three and the difficult 18th, which demands an accurate and strong drive across what was once a spectacularly bunkered diagonal gully. While the strengths of Alison’s design remain evident, changes made over the years have unquestionably hurt the course. The most notable alteration is the 90 degree change in direction on the classic cross-dam par three 13th. 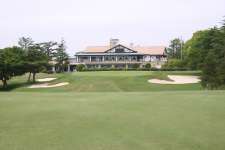 Once played to a peninsula green with a fall off to the water on one side, its tee was twice shifted 45 degrees when the 12th hole was extended. Bunkers were also added to now flank the green and distance the target from the water removing the fear of a bold shot trickling into the dam. Other smaller changes include the slight realignment of the 3rd tee without an adjustment to the fairway bunker and the removal of a greenside trap and addition of small pines right of the 9th green. There was also once a sandy waste area short right of the 14th green, which would barely be in play today but would certainly add to the visual appeal of the hole. 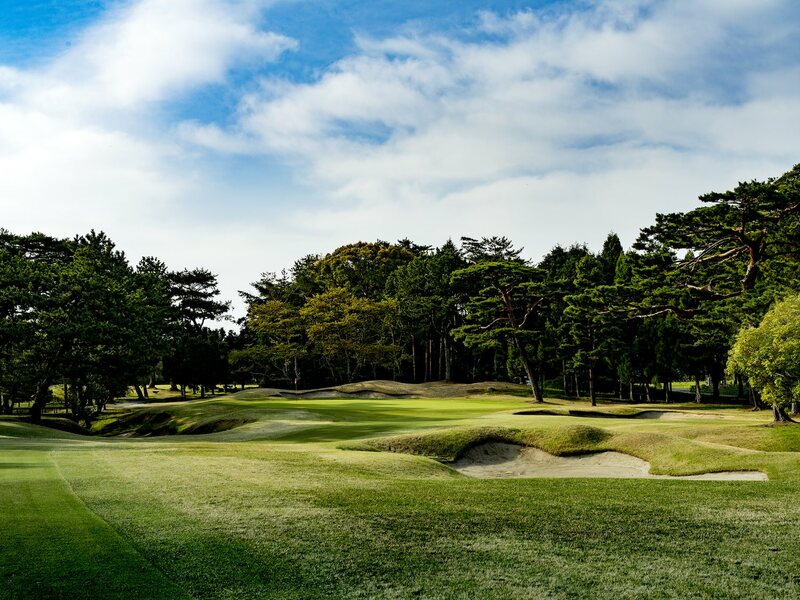 The quality of Hirono’s early course is apparent in the club’s fine set of black and white photographs taken of all eighteen fairways and greens back in 1933. Proof of how great this course once was, the images should also act as an instructional manual on how Alison wanted his holes set up. The current practice of leaving long choking grass between cut surfaces and bunkers, for instance, not only damages his design intent but also detracts from the enjoyment of the game. Regardless, Hirono is revered in Japan and is still the country’s best layout, though one suspects that this was once a true giant of the golfing world.